Well I already have three projects on my workbench in various states of completion so what the hell why not start another! I said my VSF Engineers would get some transport in the form of an Armoured Steam Tractor with Trailer so last night I drew up some plans and today I started work. 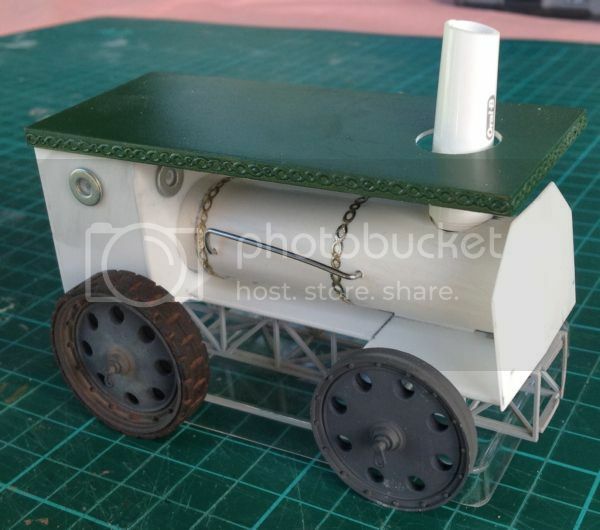 Built with the usaul stuff I use styrene sheet, plastic tubing and odds and ends. 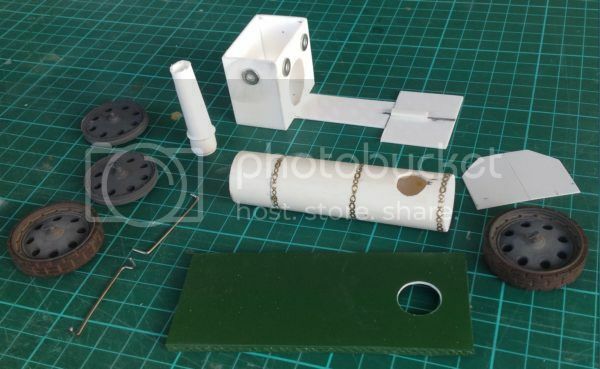 Here's the basic bits I have so far, I've already given the roof a coat of 'Heritage Green' from a cheapie spray can just to see what the colour was like and I'm pretty happy with it. I intend for this to be painted brightly in the style of the time but with added on dull coloured armour plates and armoured wheels. Last edited by Captain Darling on Sat Feb 27, 2016 10:07 pm, edited 1 time in total. That is great stuff mate. I sculpt some conversions a bit on figures, but this is essentially copying historical detail. The imagination to do this sort of thing is beyond me! Hey Matthew thanks for the comments they are really appreciated! 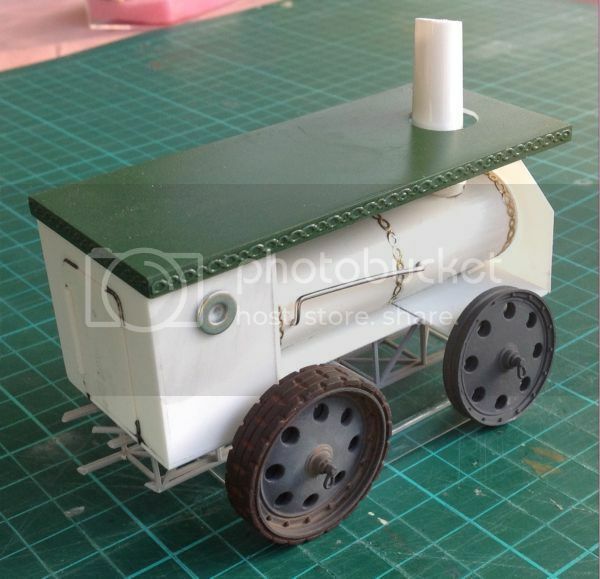 The full details of the now completed Armoured Steam Tractor are now on my blog! 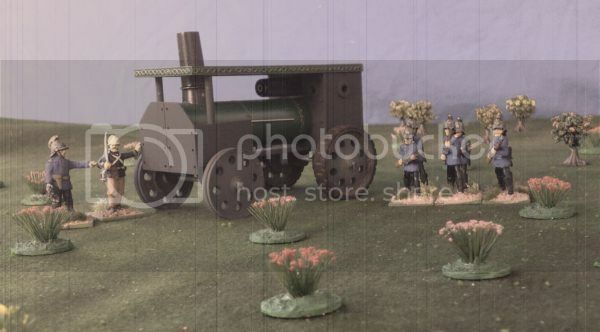 Here's a picture of Captain Darling reviewing a section of Engineers with their newly delivered Armoured Steam Tractor on Salisbury Plain circa 1877!